Soon, your grads will throw up the caps and slip off their gowns. If you haven’t already found the perfect gift, Frugalista offers 25 category gifts. 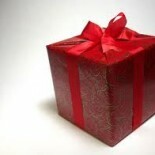 The gifts, as always, should also spark your own creative juices based on your grad’s persona and immediate goals. Happy gifting! Their lives are in their Smartphones. Help them protect their stuff. Face it. Almost everything in their wallet is RFID-enabled, from the grocery store card to the credit cards. can get sweaty and the phone stays dry. This also applies if they get rained on while running or biking. The H2O Audio Amphibix Fit Armband fully protects the cell. Gives new meaning to hands free. Face it, they’ll party right after. Maybe even for weeks after. The collegiate grad might appreciate these additions to their bars. Have a bartender-in-training on your list? With this set, they can amaze their friends with properly muddled mint leaves. The Mojito 9-piece Boxed Set includes the recipe, a 20-ounce mixing glass, strainer, wooden muddler and six highball glasses. Also makes a superb hostess gift. Cheers! 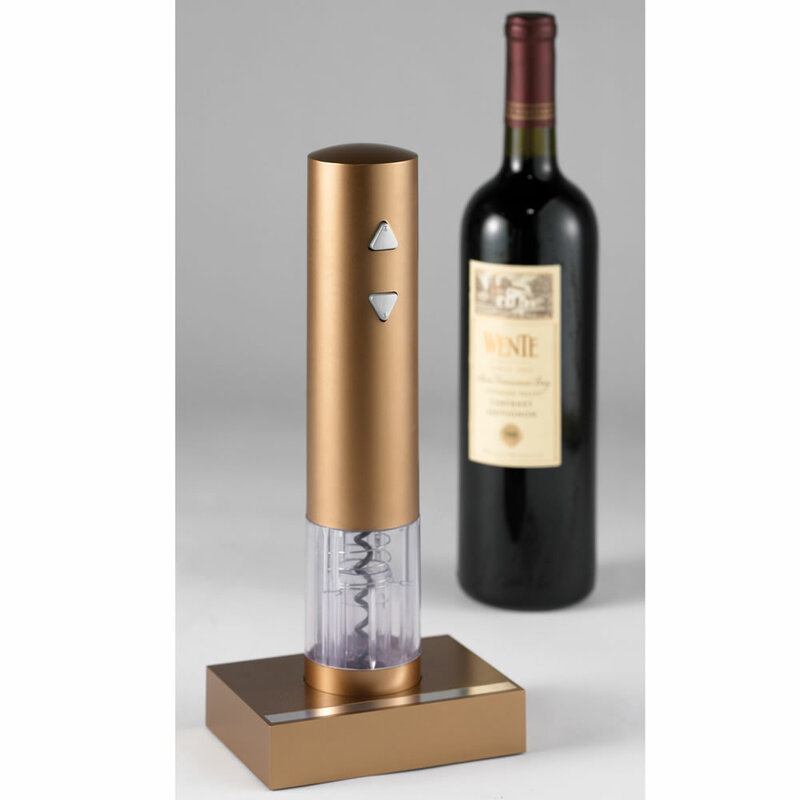 Opening wine has never been easier and The Best Electric Wine Opener keeps the cork intact–traditional or synthetic. One charge lasts over an hour. Your grads will entertain now that they’re on their own. Give them great spur of the moment meal helpers. As well as the perfect end to the evening, and a conversation piece as well. Give them an ultra-special rainy day kit for an impromptu dinner party. One that will wow their friends. The Urbani White and Black Truffle Butters. So many dish variations to adorn or whip up. This sauce won “Best Sauce on the Planet” at the 2001 American Royal BBQ Contest. Includes Cowtown and Night of the Living Bar-B-Q sauces plus one bottle each of Cowtown “Squeal” Hog Rub, and Steak & Grill Seasoning. Several other gift sets available for under $40. The Chemex® is also artistic and could be just the right end to a great evening. Invented in 1944 by a chemist, this coffeemaker’s claim to fame comes because of the glass of its hourglass-shaped flask. The glass doesn’t absorb odors or chemical residue resulting in a better cup of coffee. Brewing only involves high quality filters ($8/100) and boiling water. Thus, the Chemex lasts forever—unless they’re clumsy! Give your grads gifts for external and internal health. The medical community clearly believes in the health benefits spices. Start the grad off in the right direction. The Select-a-spice Carousel means no more measuring spoons or reserve bowls. One click, shake or pour measures out a 1/4 tsp. No fuss, no muss, no mess. It looks great and the base rotates. While you’re out at it, might as well help them learn proper shopping. They can then buy the proper foods to use with those spices. 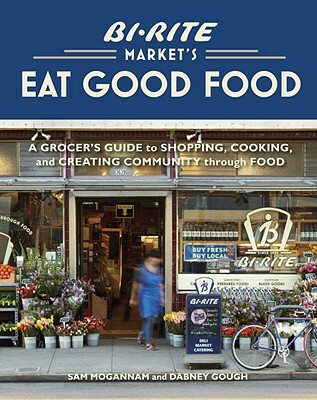 Eat Good Food: A Grocer’s Guide to Shopping, Cooking & Creating Community Through Food, written by owners of beloved institution Bi-Rite Market in San Francisco, guides the reader to better grocery shopping decisions—with detailed sections covering every department (grocery, butcher , diary, deli, cheese, produce, bakery, and wine/beer departments. Local residents pack this grocery store for its healthy and abundant culinary offerings. Laugh, but even the younger set understand the health benefits of this gift. Plus, if they’re on a budget, this will be nirvana for the cupboard. Dr. Oz said we need more fiber and beans carry a wallop. If a friend or relative tries to eat healthier, or already embraces it, they’ll love these. The Great Bean Wooden Gift Box delivers with four of new-crop heirloom beans. Good Mother Stallard, Cranberry, Garbanzo (chick peas), and Santa Maria Pinquitos beans packed in a reusable wooden box. Plus a bonus cotton tote bag. In addition to fiber, they also contain oodles of protein. Cooking instructions/suggestions and yummy recipes included. but helps make them look pretty good, too. If you need something for the athletic or workout fanatic type, this might be a tool they’ll appreciate. It measures the all important body fat weight/percentage and body mass index. And, even has a athlete mode. It claims to give accurate results in 7 seconds. Fast and on-point. They’ll love you for it. Be prepared though. They might try to get you to use it since the analyzer can store up to nine profiles. Celebrate their sense of altruism and support of free trade. Rich bursts of color adorn these hand-dyed and durable, loomed cotton yarn Fair Trade Scarves. The scarves, and other One Mango Tree products, are made by Ugandan women affected by war and a cooperative of skilled weavers. This mens Shirt Short Sleeve Polo, 100% light high quality cotton, makes for social fashion. Hand printed artwork makes it special. Money generated by the labor involved goes directly to the Thailand people who create these products. A little light reading to help them along their path. 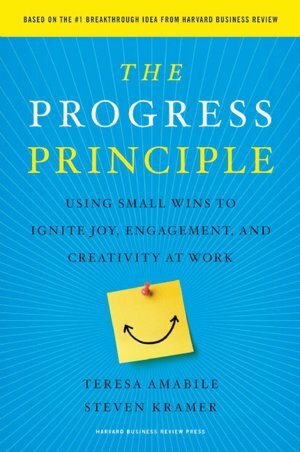 This book instructs in the ways of better employee engagement and satisfaction. The authors/researchers determined, after exhaustive study, that progress motivates better than money, rewards or status. They demonstrate that progress is the prime motivator for employee productivity. 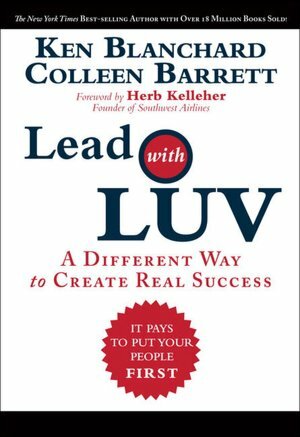 Lead With LUV: A Different Way to Create Real Success (It pays to put your people first) by Ken Blanchard and Colleen Barrett. Herb Kelleher, Founder and Chairman Emeritus of Southwest Airlines, chose Colleen Barrett, sans any Ivy League business degree, because “she knows how to love people to success.” In the book, Southwest’s President Barrett, together with Blanchard espouses on the techniques that keep Southwest wildly successful. After working hard for the money, all-day job searching or classes all day, give them a great place to rest their heads. Your grads cab fall asleep with their favorite sounds playing right in their ear. Without being plugged in. With the Sharper Image® Sleep Sounds Music and Alarm Pillow, they will never feel the speaker or built-in timer. It lulls them to sleep with a playlist. Or a book on tape from their iPod or MP3 player, Or foreign language lessons. Eight different nature sounds are programmed into the comfy pillow also. The contour pillow awakens them with a high or low vibration. And, there’s even a snooze button. The Homedics Illuminated Rock Garden relaxation fountain eases out the stress anytime. The rushing water over polished river rocks soothes even the most frayed edges. Special lighting illuminates the tabletop fountain. Frugalista gifts for the bohemian or Internationally employed grad. Perhaps, your grad plans to travel the world. Whether it’s bohemian-style or business class, they’ll appreciate this passport holder. Leather Printed Passport Holder, handcrafted in Italy of soft leather, is individually hand-printed with a beautiful map design. Also available in a simple, cognac-colored leather. 1,000 Place to See Before Die, 2nd Edition: A Traveler’s Life List—by seasoned travel expert Patricia Schultz—offers 992 pages of adventure, delight and memorable sights. Whether the recipient travels often or simply longs to, the 2nd edition of this user-friendly book makes a great gift. And it offers so much than the original. More informative, more experiential, more budget-friendly offerings, more suggestions for places to stay (features 4 star hotels to good moderately priced experiences), more restaurants to visit, more festivals to check out, more full-color photos; and over 200 new entries. Whether the grad travels or simply goes away to college, they’ll learn efficient packing with this gift. Once you give them the Personal Organizer, they’ll soon be trained in the art of packing well. The water-resistant fabric organizer can be hung from anywhere. Lots of mesh pockets comprise the main compartment. Side zip pockets offer easy access to items such as toiletries. It even has a convenient, removable shower caddy. Frugalista gifts for the organized (or would be) grad. You pray they’re moving somewhere other than your basement. Encourage organization and self-repairs in their new home. Rubbermaid to the rescue. Whether it’s a corporate or home office, or the dorm, these revolutionary Bento Boxes don’t simply hold stuff but organizes it for easy retrieval. The internal flex dividers provides the versatility to create personalized sections within each stackable box. And to revise them as needed. The boxes are durable and the pretty fabric covers make them ready for close-ups. Frugalista gifts to inspire your grad as they navigate collegiate, or autonomous, life. And to remind them that they are to go forth with purpose. Give them a living gift in the Bonsai – Flowering Natal Plum, complete with an attractive rectangular, brown ceramic pot. The 6-8” plant blooms with fragrant, star-shaped white flowers and later bears dark red edible plum-shaped fruit. This fragrant beauty can be kept indoors. The Never Give Up Stone Plaque, made of natural slate, serves as affirmation or inspiration. Etched with the Winston Churchill quote “Never, never, never give up”, each stone is original. Can stand or hang plaque. Wishing you perfection in your gift selections! It is truly a great and helpful piece of information. I am satisfied that you shared this helpful info with us. Please keep us up to date like this. Thank you for sharing. This entry was posted on May 20, 2012 by frugalistagiftguide in Occasions, tips.